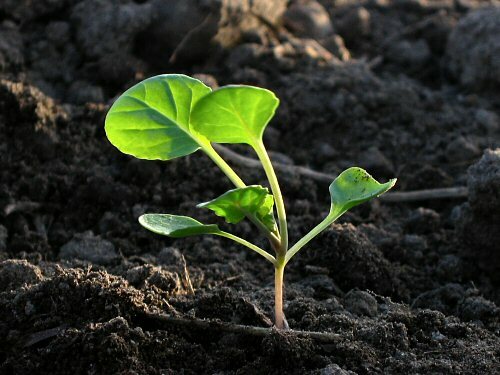 This little Jade Cross Brussels sprouts seedling, only four weeks old, is first into the open field. The weather remains pretty well perfect, warm and sunny, and we’re steadily chipping away at the list of crops waiting to be started right away. Today, besides the Brussels sprouts, the first three beds of mesclun, and a whole lot of bed preparation! Get it in, get it done!